Finally! First Ken Block switches to a Ford and now this! We at your favorite Southern Maryland Ford Dealer, Waldorf Ford, think it is super sweet that we will be able to catch all the great World Rally Championship racing action from our comfy recliner. All in HD! Check out the article we found on Autoblog this morning and when your done with that check out Ken’s performance in the Ford Fiesta during some testing in the snow. Assuming for a moment that you won’t be watching any stages live, what could possibly be better than strapping into the living room recliner and watching World Rally Championship coverage here in the United States? How about watching that very same coverage in glorious high definition? You’re in luck, as Discovery’s HD Theater plans to air the entire 2010 season, the start of which is coming up fast. The action will begin on Thursday, February 25th at 10 PM Eastern with the Rally Sweden event. Racing will continue on Friday and a follow-up episode will be aired the following Sunday night from 10-11 PM ET. The second race, the Corona Rally Mexico, will follow the same schedule from Thursday, March 18th through Sunday, March 21st. 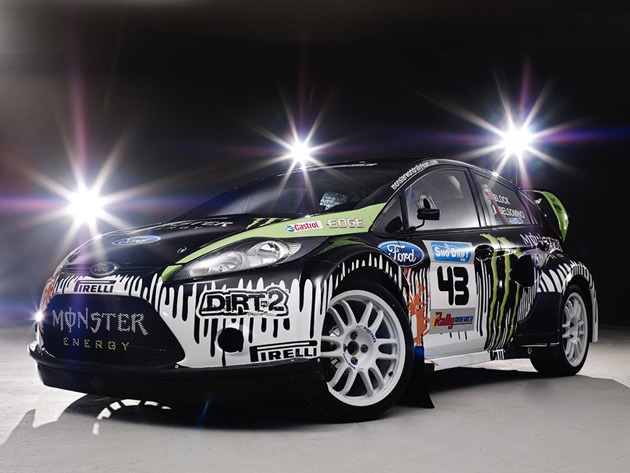 In case you’re wondering, Ken Block will indeed be taking part in the 2010 Rally Sweden behind the wheel of his brand new Ford Focus RS, giving American viewers a hometown hero to pull for. Air dates for the remainder of the 2010 WRC season will be announced later.